I think I deserve a pat on the back because for the first time, I'm posting a Holiday look early! 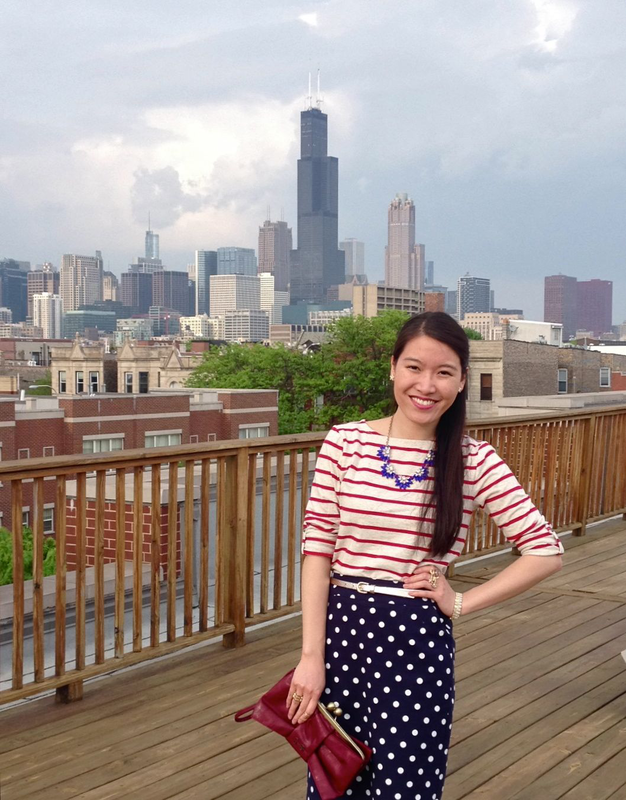 I thought I'd share a Fourth of July look as well as some other red, white & blue inspired pieces that would work perfectly for different Independence Day festivities. Here are some other Red, White & Blue inspired pieces I love, split by dress code to making browsing easier for you! PS. Keep a lookout for my Fourth of July SALES post! If you don't want to miss out, you can follow me on Bloglovin' and/or "like" my Facebook page! Love your red, white and blue look! 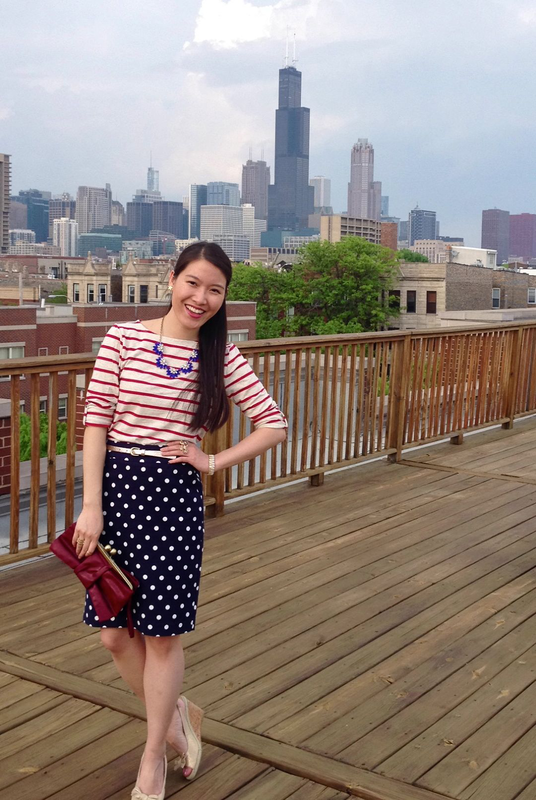 Such a chic fourth of July outfit! I love polka dots and stripes together! I do too! They are probably the two patterns I wear together most often :) Thanks for stopping by! 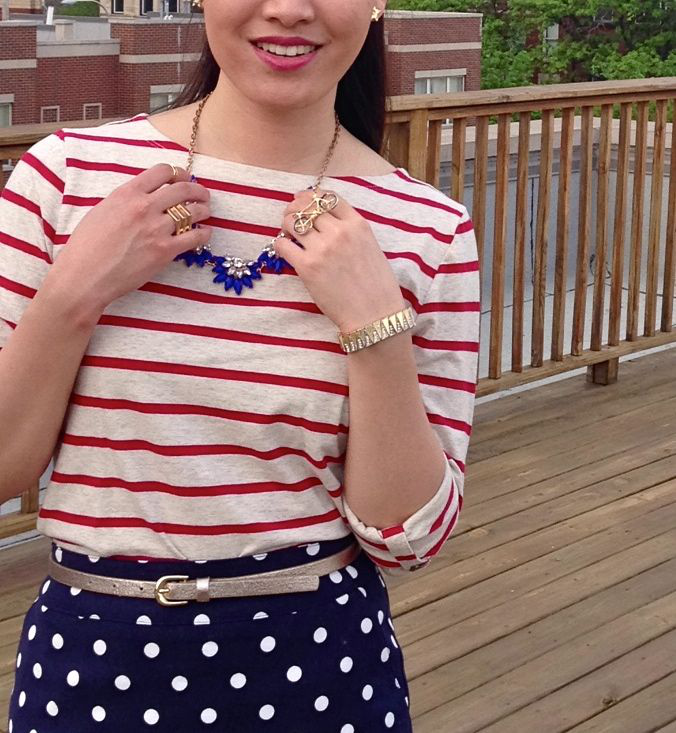 always love polka dots and stripes together... great look! They are a fun pair! Thanks! I just joined your linkup! :) Have a great day! Pretty outfit! I love the stripes and the polka dots mixed. THe necklace is also very pretty! I LOVE a good red, white and blue outfit! 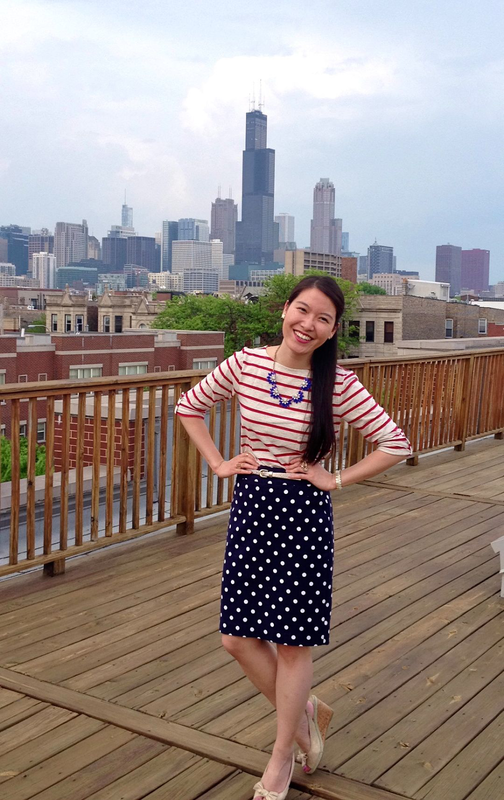 Polka dots + stripes is my very favorite way to mix prints too. Two thumbs up! You are too kind :) Thanks so much for the sweet words! Hope you have a wonderful day! Stripes and polka is one of my favorite pattern mixing idea. You look great. I have a similar top and it's a favorite!! Already following via bloglovin', would you like to connect on Twitter & elsewhere too? Let me know if you're up for it! Thanks for the sweet words Abby! Just followed you back on Twitter :) Yay! Love this look! The print mixing is great and the colors are perfect for the upcoming holiday! What a fantastic 4th look! Adore the stripes and polka dots together! ahhhh what a view! 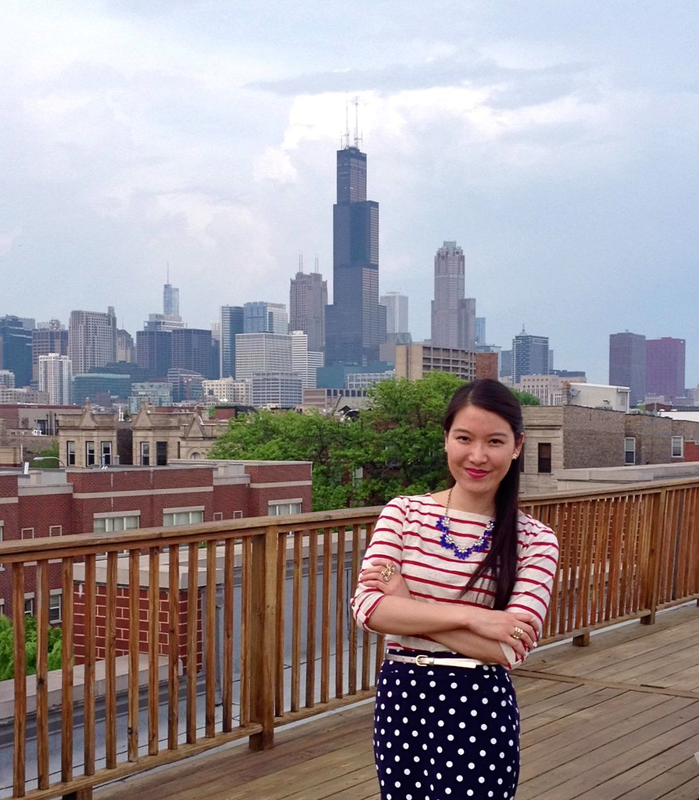 I used to live by UIC...I miss the city skyline view! I am always too scared to pattern mix...haha but this is so festive! I like! It's my favorite skyline! :) You should definitely try pattern mixing! 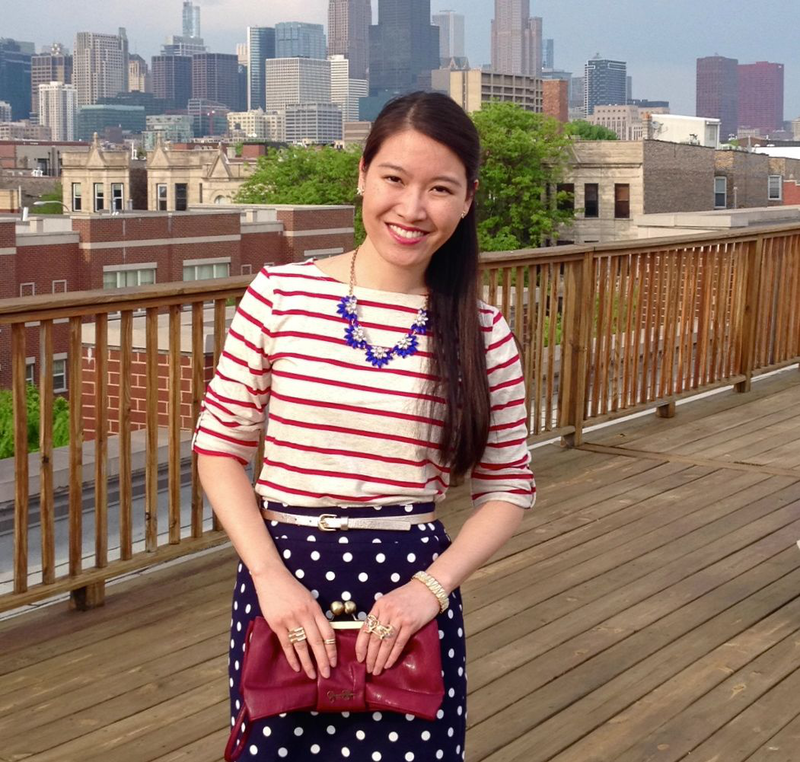 Polka dots & stripes are great since they rarely ever fail when paired together. Such a chic look! Love the pattern mix! Enjoy your 4th!